Thanks to an app called Godotify, you can troll your Facebook Messenger friends into thinking that you are typing indefinitely. And you thought your trolling game was at its peak? Think again! There are tons of ways how you can pull off a prank or two on your friends using Messenger. But nothing comes close to what Godotify for macOS and Windows has to offer. Once downloaded and installed, simply send off an important message to your friend telling them that there’s something extremely important you wish to talk about. Once they reply back, simply launch Godotify and everything will take a turn towards trolling. 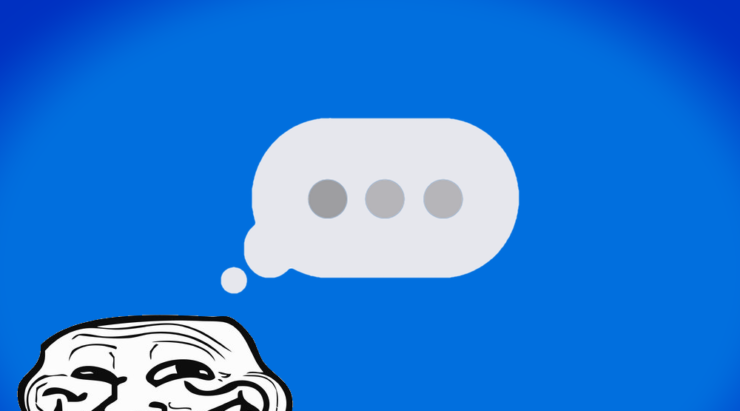 The app will fool the other person into thinking that you are writing something as they will see a regular chat bubble. But wait, that bubble doesn’t go away, ever; it stays there indefintely. It’s evil at its finest, and something which you should try out with people around you. Thankfully, the app is absolutely free to download and use, but it’s available for macOS and Windows only. Head over to this GitHub link and initiate the download. We really wish there was a mobile version of this app available, allowing users to take their trolling game on the road. But, it seems Apple and Google might never allow such a thing on the App Store or Google Play, since it’s no more than a dirty prank. Still, the macOS and Windows version should keep users busy in the time to come. Apart from the above prank which you can pull off right away, iMessage users can do something similar as well. Just search for the chat bubble GIF that appears in iMessage and send it off to the other person. The other party will believe that you are typing something though they are just looking at a looped GIF in the Messages app. It’s pretty effective and goes a long way when it comes to trolling people. Do give Godotify a try and let us know what you think about it in the comments section below.